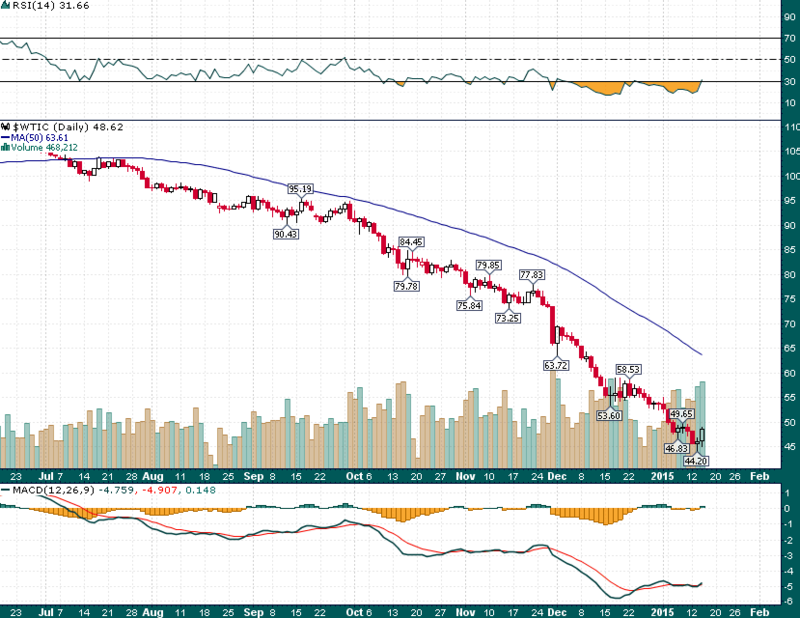 Largest Rally in Oil Since Bear Market Began | Energy and Gold Ltd.
A few weeks ago I wrote a post in which I stated that we would know that crude oil has found a bottom when we get the first 20% rally, this might be it. However, that does not mean that oil will surge back above $60/barrel in short order; a messy consolidation between $45 and $55 is much more likely. 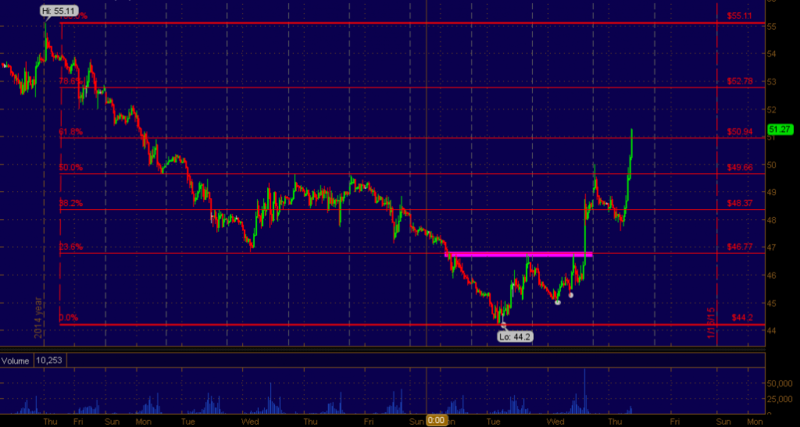 Does anyone remember this chart from a few weeks ago? This analog to the 2013 gold crash could be playing out, albeit from a lower base crude oil price than was contemplated a few weeks ago. 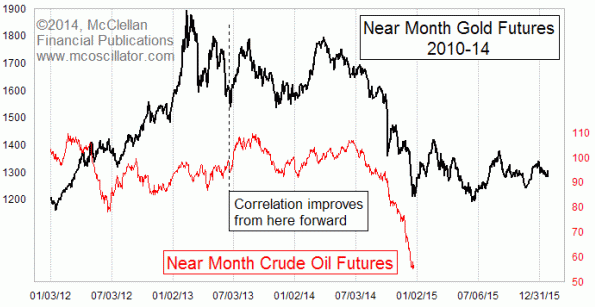 The $55-$60 area might be the new upside rally target for crude.